Why not check out these 31 ways to de-clutter your home and life and see if it works for you? Write down your reasons for de-cluttering. Decide on the value of your items. Store things out of sight. If you can’t eliminate, reduce. Do you really need ten sets of bedlinen for your two-bedroom apartment? Or twenty bath towels for a family of four? Chances are, you don’t. Donate, dump or repurpose these excess items and free up space. Have you heard of Project 333? This minimalist fashion challenge is so effective that it has been featured on The Today Show website and O, The Oprah Magazine. Its premise is simple – choose 33 items of clothing (or less) that will see you through the next 3 months and donate or store the rest. Pick classic, neutral pieces and you’ll never be stuck for something to wear. Even better, choosing your outfit every morning will be a cinch. Set up a charity box. Get the biggest box you can find (or, better yet, get several!) and fill it with all those items you no longer use, or those you value the least. Donate these items to a charity store – you’ll be helping the environment too as producing new items to meet demand wastes a lot of energy and water, and contributes to pollution. 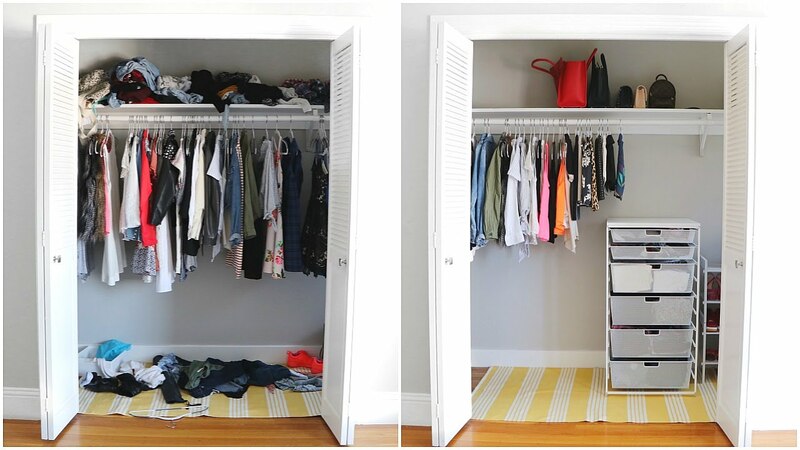 This is a great idea for those items you’re on the fence about getting rid of. Like that dress you almost fit into, or that camera you’re going to learn how to use any day now. Place items like these in a box, seal it and date it. If you haven’t opened it within six months, then it has got to go! Dump the ‘just in case’ stuff! Things like random screws, 6 inch pieces of string, one-off buttons, the end of a roll of insulation tape and all those other junk items you’re hoarding ‘just in case’ have got to go! Try the 20/20 rule. If you can replace it for $20, and can source it within 20 minutes of your home, then you can get rid of it safe in the knowledge it’s easily replaceable if needed. A fuss-free morning ritual and clean home aren’t going to be much good if, the second you step out the door and hop in your ride, you’re confronted with a hoard of sweaters, books, empty coffee cups and candy wrappers. Eliminating the extra weight from your car will help it run more efficiently too. Cancel your magazine subscription and stop buying the newspaper. Not only will Mother Nature be glad, but you will too. You don’t have to miss out though, as everything you need can be consumed in digital format. While you’re at it, ‘opt out’ of junk mail and sign up for e-banking. Pare down your social media. The ’one in, one out’ rule. It’s better to have one really good quality, beautiful pair of shoes (or rug or painting etc.) than to have five pairs of mediocre shoes. Even though higher quality items may cost more, they look better, work more effectively and last longer than lower quality items…meaning they work out cheaper over time. The quality over quantity rule of minimalism goes for all aspects of your life – from friendships to pastimes and parties. Cut down on cooking time. Vow to get rid of one item every day. Accept that minimalism is a journey. Minimalism is about achieving a more meaningful life which requires periodic reassessment – of possessions, pastimes, jobs and relationships. Its premise is simple – the more you let go, the more you gain. Keep letting go and see where it takes you!